Through both bull and bear markets, Investor’s Business Daily’s CAN SLIM® Investment System has consistently been the #1 growth strategy, according to the American Association of Individual Investors. 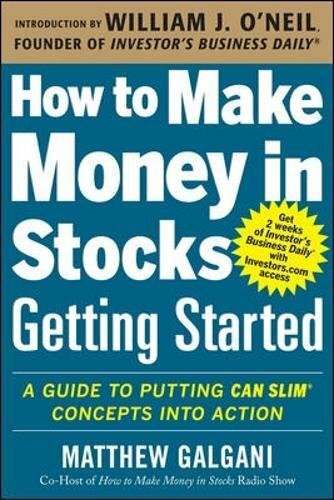 How to Make Money in Stocks―Getting Started shows you how to put the CAN SLIM System to work for you. So whether you’re new to the stock market and a little nervous about jumping in―or if you’ve been investing for awhile, but aren’t yet achieving the kind of results you want―How to Make Money in Stocks―Getting Started gives you a clear, step-by-step path to investing success.